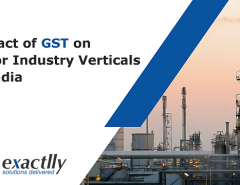 As the GST has been rolled out, a lot of speculation has gone into understanding the changes that the tax has brought and effects it has had on various businesses from both the supply as well as the customer’s end. Considering this, you must be ridden with questions ranging from what to ask your tax consultant to how to incorporate these changes into your business routine? There are several easy to use GST solutions in the market, and our product is one of them. With the advent of the GST we have put together very pertinent questions, highlighting the effects and consequences of the tax slab on your business. 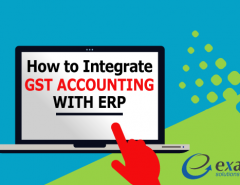 Before the GST took effect, a transaction was considered complete upon receipt of an invoice and making a payment in consideration for the same. Prior to filing tax returns, one could even avail a tax credit on the invoice if so desired. However, the current regime of GST states that is essential that invoices must be matched to every transaction. This means, that availing tax credit has become part of a more stringent process where tax credit is assured only after matching the invoice to the particular transaction. Several people must be riddled with the question of how would they understand if such tax credit is not rejected or reflects the proper value? Transparency is assured as under the GST Rules, invoices are to be uploaded by the suppliers upon which you, as a businessman, will be able to refer to the invoice and cross check all details and upon such verification, proceed to make the payment to your supplier. This process will soon normalize and be accepted by all suppliers and customers alike as it ensures complete transparency in the system and allows you to check and match invoice related data before making any payments. That’s right, the government tax system is now no longer a rarity as every businessman can interact with this system frequently, especially due to the introduction of the payment upon uploading the invoice method as explained above. By uploading invoices for suppliers to see, and checking invoices as a customer, all the data would need to be managed in an organized manner. All these real-time activities thus make it crucial to have a propert government tax system in place. Initially, a single cutoff date was the norm for filing returns. 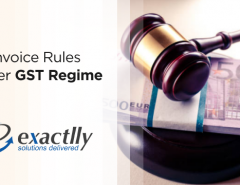 With the advent of the GST Rules, the cutoff dates have been broken down further to ensure proper tax payments. These are 10th, 15th, 17th and 20th of each month. This keeps people on their toes and ensures high level of compliance in filing returns. Due to several dates in place, the number of invoices being uploaded to the government tax system shall be voluminous, making it a slightly lengthy process. For this, an efficient system of receiving invoices as well as reflecting payments will need to be ensured – just like when you deposit a cheque in the bank and you get the credit to reflect in your account simultaneously. 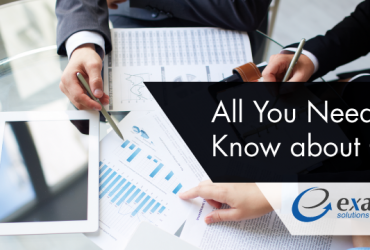 As the cutoff dates approach and you undertake compliance with respect uploading data in terms of invoices, you must expect to be informed of all information that affects you, and remember that the payments are not closed and completed, but are in process. Business operate from several locations, not just one. This means that data and invoice upload is also done from various parts of the country, not just a single location. The government tax system must make sure that invoices uploaded from various locations match their counterpart payments, and based on the information uploaded, it dispenses to you, information, regarding your returns. This entire process must be undertaken very smoothly to ensure the best and seamless functions. this means that a simultaneous synchronized pattern that assures integrity and most importantly, accuracy, needs to be put in place. Signing a return is the final step to finalizing your returns – however you need to have the confidence that all the information is accurate, before you put your signature and close the transaction. However, be prepared that some of the information pertaining to your returns might not be readily available as the system may not be ready to give you data due to taking time to process the invoices. To finally sign your return, you must have all your information systematically in place. Despite the slightly complicated process explained above, worry not, for your business will be in good hands. Nonetheless, the process is messy and may keep you from running your business as your attention will be required on the administrative end of things. The GST product that we offer does exactly that – ensures that you are GST compliant and ahead of all your invoice related work. We worry about your taxes so you can worry about running your business.